I am sure, for everyone in the eCommerce business, there’s no need to explain what Google Shopping Ads are. 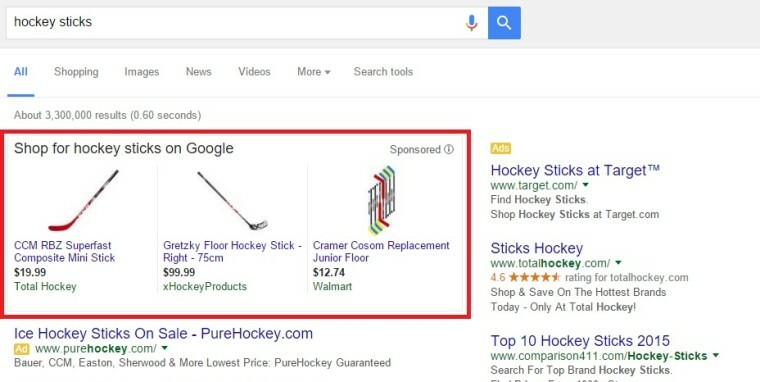 But, if you are not familiar with them, they are product ads which appear in Google’s SERP as shown on images below. Google’s Shopping campaign, formerly known as Google Product Search, is the best marketing channel you can invest on for your eCommerce business to grow. Why? Because Google knows how to do marketing. Their new ad type called Shopping Product Listing Ad, or popularly known as PLA is arguably the most cost-effective ad type if you sell products. Due to overwhelming demand during the holiday seasons, we experienced an unprecedented demand for our products. We are truly sorry that we completely ran out of stock on many of our best-selling items. 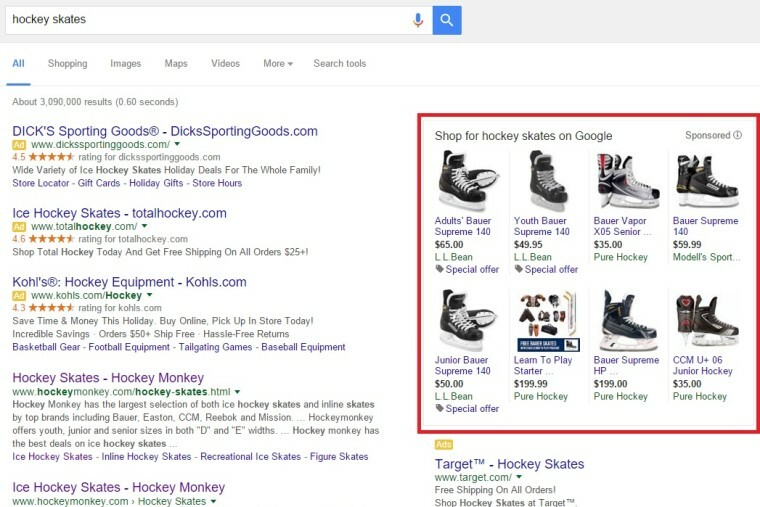 What’s so special with Google Shopping campaigns? In contrast to Search Network campaigns where you had to be creative, to write compelling headlines and descriptions, in Shopping campaigns, Google carved the PLA structure so creativity is no longer necessary. We now “only” need to send to Google all the necessary information about the products and adjust the bids for them based on the data we receive back. Can you imagine creating textual ads for each product in your inventory? Creating the ads, creating the list of keywords (and negative ones), updating price changes in the description, pausing ads if they are out of stock… The amount of work you need to do to cover everything is just ridiculous. And if you have around 5000 SKUs, that’s a work for 2-3 persons, 40 hours a week. If you can’t afford this, which is most likely the case, you are certainly missing big opportunities to market and sell your products via AdWords. With Google Shopping, that’s not the case. If the feed is accurate, one person can run ads for all of your products by spending only a few hours a week of his time. The next big thing we got with PLAs is a much better design. When you look at the design of the PLAs and compare it to the Search Network Ads, first you will notice is the big and appealing product image which textual ads doesn’t have, and second, a clear info about the product and price, which all together lead to much better quality of traffic you get. No more keyword targeting. At least not the way you did it before. Google is now targeting users based on what users are searching for and the data you’ve sent to Google. The better the data you send, the better-targeted ads are. You just need to strictly follow Google’s Product Feed Specification. Note that you can still “target” keywords by changing your product name and description attributes, but not with a precision you had with textual ads. Nevertheless, there are still some ways to fine-tune keyword bids (generic, branded, long tail, short tail…) by using negative keywords and campaign priorities. But, since product feed is a pretty large topic, we’ll cover it in the next article about Google Shopping where I’ll be examining the product feed specifications in details and how to match Google’s Product Feed attributes with Magento product attributes. If you already know essentials of the Product Feed Specification and you want to jump start creating the feed with something cheaper solution than custom development, like an extension, I can recommend you RocketWeb’s Google Shopping Feed which we are using on most of our projects. This extension is simple to use and flexible enough for almost anything you will need. If this all is too much for you to handle because of all the other work you have, you can check our eCommerce PPC Management service and hire us. We’ll be happy to help you out. Would you recommend a more affordable alternative to RocketWeb’s solution? At my job I am just getting started with building my first PLA feed for the sites Connexity runs (Bizrate/Shopzilla) and then once I get the handle of it (and the boss is happy) I would move over to the king… Google. Any chance you have worked with Connexity? Thanks for taking the time to write about this topic! Unfortunately, no. I haven’t been working with Connexity sites and their shopping feeds, but I assume it is pretty similar. We did work with Bing Shopping and Facebook Shopping feeds and they are all practically the same… small variations may apply.